Hanoi can seem a bit overwhelming. It is a vibrant city with perpetually crazy traffic, enthusiastic street sellers and colorful street life. But it is also a heaven for those of us who love to take authentic photos capturing the essence of local life. Or for those who simply love to take a unique photo. With Top 10 Photography Spots in Hanoi, choosing the right backdrop when taking photos will not be too difficult for you in the capital anymore. Dress up your daily outfit and browse the 10 addresses below to own a “thousand likes” photo in your Hanoi Tours. The first name in the list of Photography Spots in Hanoi is mentioned as the heliport of Hei Tower. Having a photo here will make you look the best in Hanoi. 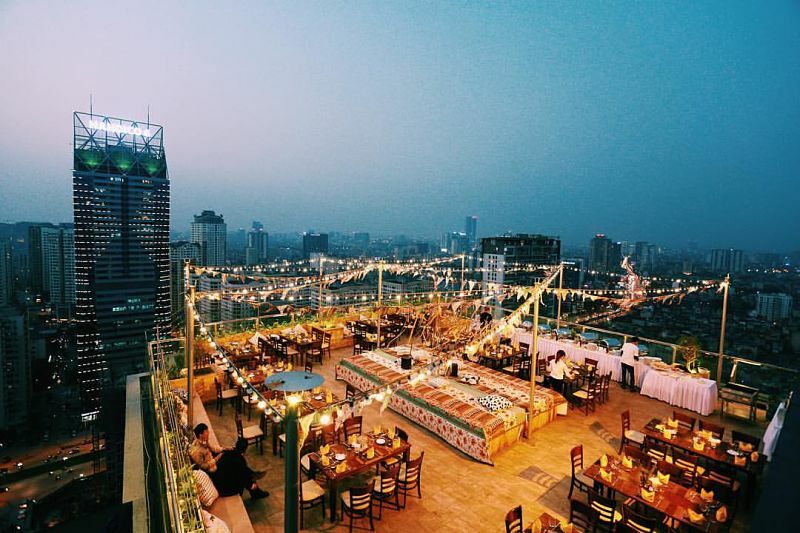 You can admire the panoramic view of the bustling Thanh Xuan district, the busy streets below, Landmark 72 building, Lotte Tower and especially the magnificent sunset. The advantage is located on the same campus as Trill Rooftop. Usually, the building staff will limit visitors up here. With luxurious white-gray buildings, asphalted roads and golden shutters, Park Hill in the Times City urban is a “Western” sky to be included in the list of shooting locations. You can take a walk around high-rise buildings, cafes and click a few photos like an unrivaled fashionista. Address: Phung Hung Street, Hoan Kiem District, Hanoi. The youthful colors and generous drawings make Phung Hung street look full of life, attracting many young people passionate about painting, especially virtual living believers. Here, you will see 17 paintings on a total of 127 arches, conveying the message of Hanoi, this imperial land with 1000- year history. About the community, Vietgangz Brother Hood is talking about the most quality, most personal, slightly eccentric, weird and people who dare to live with their own styles and dreams. 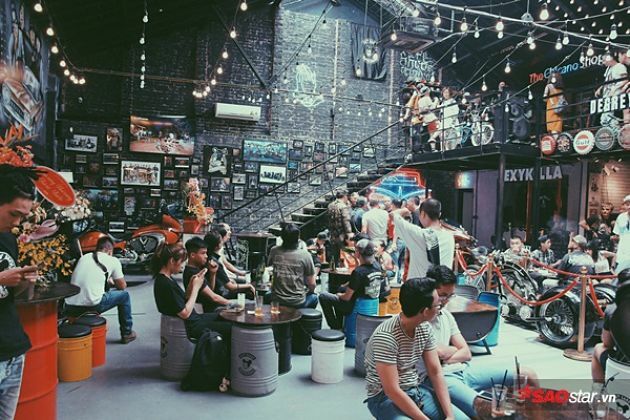 This includes Vietgangz Tattoo tattoo shop, Vietgangz Piercing earrings, piercing Liem Barber Shop, cafes, handicraft shops, and exclusive fashion stores. 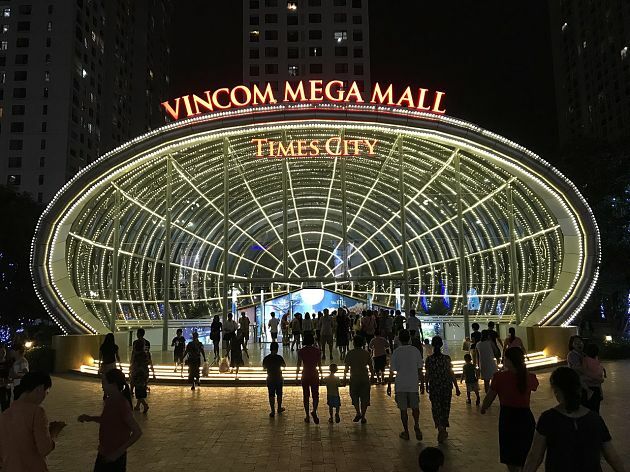 Each store is decorated according to its own qualities but all create a strong impression on Hanoi youth. Those who come here do not forget to live virtually according to their own style and personality. Address: 66 Nguyen Thai Hoc, Dien Ban, Ba Dinh, Hanoi. Besides retaining and being a place to enjoy painting works, Vietnam National Museum of Fine Arts is also a location to create pictures of virtual, satisfying the passion of youngers. This is one of the museums with the most artistic quality by the artworks, the rows of sunshine corridors through the gleaming doorway, lamps and the simple architecture, with a bit of depression, peace static. Address: Tran Nhat Duat, Dong Xuan Ward, Hoan Kiem District, Hanoi. It’s interesting to invite friends to Long Bien Station to make a set of photos with a little color on the weekend. The old railway station, deep rails hun smoking and straight, created many photos with their own qualities. If you pay close attention, Long Bien and Gia Lam Station are creating trend a lot in the photos of young people in recent times. Certainly, if you are a member of virtual living, you cannot ignore this trend. Address: No. 27, Co Linh Street, Long Bien District, Hanoi. Aeon Mall is always in several places for young people to live without borders. From doors to parking lots create “kool” photos that you can’t ignore. 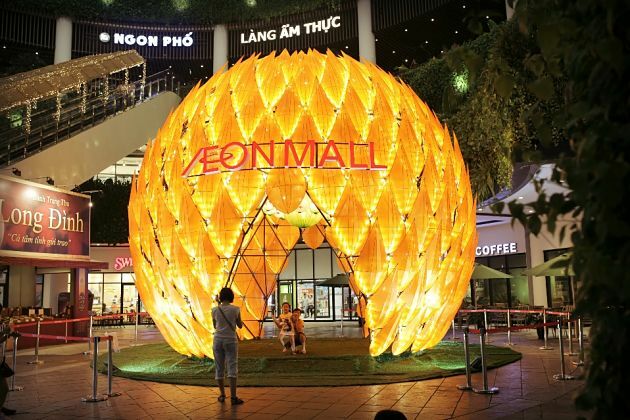 Fashionista and fashion stores also take advantage of borrowing the space of Aeon Mall Long Bien to take photos of outdoor scenes promoting quality products. Address: 44 Le Thai To, Hang Trong Ward, Hanoi. 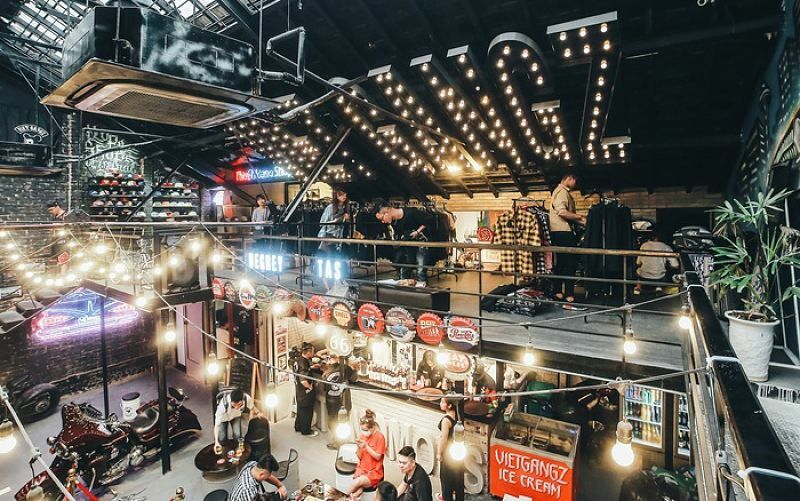 Style newspaper ward has returned to the heart of modern urban. From the golden gate and the green wooden window, the signboard and even the posted news on the outside recreated the ancient and civilized Hanoi painting. Up to now, the façade faces the Hoan Kiem Lake. 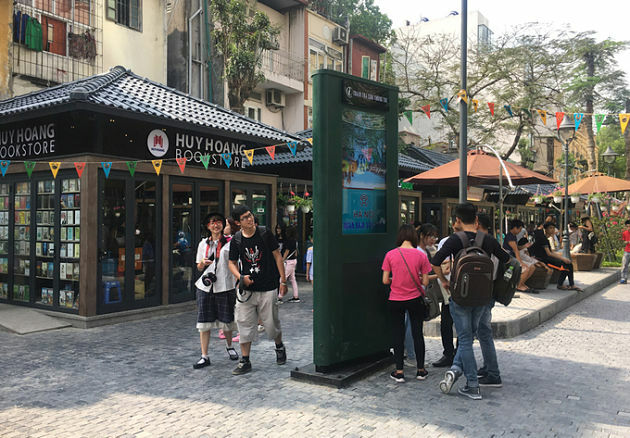 From the new Hanoi newspaper, you can walk to the Great Church, Trang Tien Plaza or step to the side of the road where you can take a stroll in the romantic Ho Guom, enjoy Thuy Ta ice cream. Address: No. 40, Nha Chung Street, Hang Trong Ward, Hoan Kiem District, Hanoi. If you visit Hanoi in the fall and winter, try wearing outfits that must be known as high-heeled boots, long gowns or sweaters. Combined with ancient Western architecture, mossy gray walls and an old ancient scenery will be the ideal place for youngers. Operation time: 8:00 – 22:00 daily. The trend “virtual living” has landed in Pho Sach Street in Hanoi. The holy land of the bookworm is now beautifully decorated and eye-catching. The book covers are placed side by side on wooden shelves, creating a very unique feature for Hanoi Book Street. Isn’t there any reason to ignore a beautiful shooting location in Hanoi like this and post in Instagram photos?